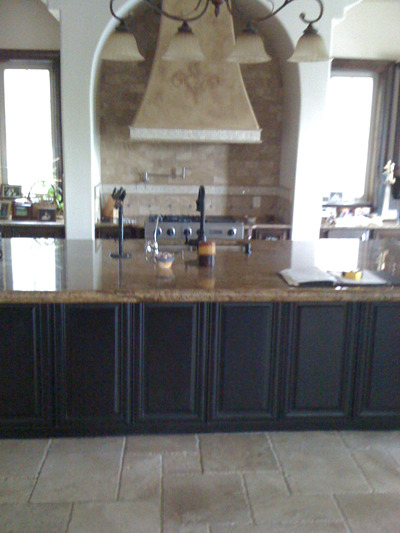 Kitchen remodeling in Austin, Texas like most other cities include many of the same aspects. So what should you consider? Have you decided you need more room? More storage? Are you looking for a complete kitchen makeover? Will you add on to your home? How will you determine what's needed without some soul searching and research? All are great questions when considering such a costly investment in your home. At least we know that remodeling of both the kitchen and bath reap the most benefits and ROI when it comes time to sell your home. Try and fill in the answers to the questions below for your home using the following steps which will aid you in defining your new kitchen remodel. Determine what is needed by first identifying your priorities. Kitchen remodeling ideas are endless. Consider how you use your kitchen as it pertains to your personal family lifestyle. Consult with everyone you know who has endured a kitchen remodel and pick up on the pointers they recognized in hind sight. Collect a series of favorite photographs and ideas from any and all media collections to construct a scrapbook of sorts. Your collection will need to be narrowed in scope to fit your situation before the final design is agreed upon for your Austin kitchen remodel. Start deciding on your budget and determine what the scope of work will be for your kitchen remodel. These variables can only be solved with accurate planning. It is far easier and least costly to perform this step on paper rather than with change orders issued throughout the construction phase. Determine what you would like to see in your new kitchen but most importantly what you can reasonably afford. Know that a kitchen remodel is not a DIY situation and that you will need to consult with a residential remodeling professional at some point. Be sure to choose a local qualified kitchen remodeling contractor whose personality and qualifications are agreeable with you personally. Check out the reviews on the company to find out how clients have responded to their experiences. You are about to undertake a very important short term relationship in your life with someone you may know by reputation only. The relationship needs to be comfortable and free flowing thus enabling the contractor's creativity level to be at it's highest during your remodeling project. Look at it as a partnership between your needs and the remodeling contractor's abilities. The use of many finishes must be accommodated for. His professional remodeling experience will include the capacity to identify many construction limitations and hazards. These variables underlie the major pitfalls that can be possibly avoided while enabling a remodeling design to come to reality. Don't forget that you get what you pay for and it certainly isn't about the lowest bid but the remodeling company's integrity and knowledge. Some CAPS certified remodeling companies have the experience and education to assist you in accomplishing remodeling upgrades that include accessibility or disability issues. It is important that the job flows between the various trades involved to produce a better final outcome. This too is a reflection on his remodeling experience for which there is no substitute. Concentrate on the kitchen's layout and space planning rather than the way everything will look at the end. Use any means you can think of to mimic the new layout on the floor so you can be sure of the new footprint. Decide on which appliances and fixtures you want to use then figure out where they will be installed. Address any special storage needs that are needed. Designers and architects can be very helpful at this phase of the design if you cannot visualize the end result. Working with an experienced contractor might also save you on soft costs for the project and enable you to put your money toward the hard construction costs of the project while relying on his experience. It's time to determine your finishes and what will stand out most at the end of the project. Make a decision on the type and style of cabinetry you desire and the materials you want for your counter top work surface along with the adjoining back splash material. Settle on a specific sink and fixture that accomplishes your work habits. Don't forget about the island and the function of it's sink. Decide on any specific lighting along with it's location and the appliances you've made a decision on through your research. Pick out your flooring and any special hardware you desire. Execute the construction documents needed for obtaining a city construction permit. These will include floor plans, engineering drawings if required, any electrical, mechanical, or plumbing changes, and all research concerning your home's listing with the city. Be on board with your professional remodeling company of choice at this time and determine the costs of any subcontractor aspects to finalize the expenditures for your project. Be sure everything is within or below your budget. Remember that kitchen remodeling in Austin, Texas isn't new construction progressing fairly seamlessly from A to Z and there will more than likely be additional charges you hadn't planned for in the beginning. Once the construction is ready to begin, finalize all contracts and logistical considerations. If you are going to try and live in the home during construction then you need to plan for everything to be disrupted. Clean out your cabinets and discard the things you haven't used in years. Decide what needs to be put in storage. What is the concern for dust protection or a family member's allergies? Setting up a temporary kitchen somewhere else in the home will help during your usual daily grind and don't forget to relocate the refrigerator and coffee pot. If you are fortunate enough to move out then do so to cause less strain on your family and the workers. If you're moving out is there adequate daily access to your home for the workers? What about security? As the construction comes to an end begin compiling a punch list for the contractor to address once the project is significantly finished. Things will happen like scratches and scrapes but everything is fixable at the right time. Do not interrupt the daily work schedule for everyone trying to finish your project unless the matter is critical to the project. Weekly meetings with your residential remodeling contractor should avoid any such problems keeping you up to speed with your project. Everyone involved in your project is a professional working for the remodeling company you chose and can very well take care of any minor touch ups after the main scope of work is complete. Whatever your situation please rely on the experiences of a local building professional. Check out their credentials and references over merely price checks against other bidders. Don't make the mistake of letting a cabinet making subcontractor play the part of a general contractor because his knowledge will be limited to that of the cabinets and not much else. You get what you pay for with proper planning. Call T-Square Company today at 512-444-0097 today for a complete design/build experience for the new kitchen you've longed for. No matter how old you are you should periodically evaluate your residence to determine whether it suits you not just for the present but the future. Your home assessments will be rethought every time your living situation changes. Whether childproofing for a newborn, making a home more accessible following a sickness or unfortunate accident to someone in the family, or making a toilet area safer for an aging residing parent, there will be an immediate evolution to your primary domicile. These same life span design features are even more important if you believe you're past the age of wanting to move and are relishing the thought of aging in your own home, no matter what physical limitations you might later develop. Incorporating smart aging design concepts into a home's elder design will attract a larger group of buyers when you decide to finally sell your home. Physical limitations affect many more people than the daily users of walkers and wheelchairs. Many members of our society experience a need for elder construction having significant problems in dealing with their home environment. Today's conventional building standards conflict with most people's accessibility when you consider our created architectural barriers concerning cabinetry and door opening widths, individual strength, range of motion, movement, manual dexterity, balance, and coordination. Once the demands of our built environment exceed their capacities we become excluded from a room or even the entire home. The building world must work in unison to be sure the entire living environment meets basic needs in addition to affordability and structural integrity for the consumer and home owner. This includes both the home and the components within the home being accessible to all inhabitants. Privacy, sense of belonging, sense of control, and the sense of safety and security make up the quality of life for any home and should be considered for any design. When mobility becomes an issue for any homeowner, regardless of age, the question arises concerning physically moving to a different home with a bath that is more accessible. Austin handicap remodeling can help in preparing for one of those highly likely events involving someone in your home needing room modifications for even a short time while recovering from surgery is surely a smart move. Solving aging in place issues will soon become the number one challenge concerning the present obsolete housing inventory in our country. Our present day obsolete homes now inhabited by the baby boomer generation will slowly and increasingly raise their outdated and obsolete ugly heads and expose their true lack of accessibility to those very people inhabiting them. The situation will only become ever more expanding in time. When these homes were previously purchased, they represented an absolute castle in the world of their owners in which to prepare for a day and they also acted as a retreat from life's tough interactions. They housed our families, our memories, and our stuff. They represented a place where we could be ourselves. Our homes have always been exempt from any and all of the accessibility regulations that have been put in place since 1968 when our Viet Nam veterans were returning home. The new evolving concept known as Universal Design for home remodeling is catching on nation wide and has been for several years as a sign of the times. Universal design techniques used in building makes a home more accessible to all regardless of their mobility or adaptive abilities. An evolution of new products used for disability home modifications is making those homes more accessible and has finally come about in the remodeling industry. These new advances in accessible home remodeling in Austin not only keep the living environments safer but will not compromise the home's aesthetics. In fact, there are many benefits to using universal design techniques, including potential use by aging family members, added resale value, and the fact that you'll be creating a space that can be used by anyone who visits your home, regardless of their range of abilities. Simple universal design updates for aging in place home modifications and handicap accessibility can include adding grab bars or handrails throughout the home, adding a seat within the roll in shower, lowering upper cabinets and counter tops, adding non-slip flooring, widening hallways or installing stair lifts, and widening doors. You might also consider lowering light switches and thermostats and installing easier to use door knobs. You should try to provide a clear barrier free path or accessible route to the most visited areas of your home as recommended by the ADA. Whether you're looking for a local residential construction contractor to accomplish a kitchen remodel or a construction professional to complete an entire gutting and remodel of your entire home including a home office transformation, the final accenting finishes most likely will include the use of fine cabinetry. The choice between frameless European and Northern face frame cabinetry styles will highlight any design. When the time finally arrives for remodeling an Austin kitchen, there are many choices to be considered concerning the new kitchen cabinetry. Frameless European full overlay style cabinets are a type of fine cabinetry having either a painted or stained wooden exterior or one with the exterior totally covered on all exposed surfaces in plastic laminate per your choice of color, pattern, or manufacturer. The laminated exterior application provides a much cleaner and more modern look for easier maintenance. The doors and drawer fronts on all European cabinetry are flat having no crevices to conceal grease and grime and directly overlay the cabinet box. Each door is mounted on the inside of the box using fully concealed and adjustable two part hinges. The frameless European style is represented only by the cabinet carcass or box, composed of the walls, bottom and top (if needed), and back without any face frame components yielding only a 3/4" outward appearance for all the stiles and rails. This European style which eliminates the usual two inch face frame gives full access to any stored contents with more usable room. These frameless cabinets limit the amount of exposed stile and rail surface area between the door and drawer faces. The exposed cabinet area is normally limited to 1/8-3/16 of an inch. This holds true between any two finished faces coming together presenting a half overlay situation on either a horizontal rail or vertical stile; hence, exhibiting the full overlay method. This clearance is also typical at the juncture toward the outside walls beside the cabinets. One other characteristic of the European design lies in the adjustable shelving. A series of 5mm holes are repeatedly drilled in 32mm increments (approximately 1 1/4") continuously at the front and back of all vertical cabinet pieces receiving shelves. This configuration allows for shelf supports to be inserted to adjust the shelves. In time, the shelf supporting "dogs" might wear out the holes and become loose causing the shelves to collapse. The retro use of metal pilasters will remedy the problem. Following cabinet installation, there is no room for the application of wall trim in the European method. Spaces against the walls should be caulked in place to seal the carcass to the walls. If the gap toward the side walls is greater than 1/8 inch preventing a reasonable caulkable joint, a laminated filler must be constructed. This new filler should be cut and sanded to fit the taper tightly filling the gap. As mentioned above, the narrow but typical gap from the side of the cabinets to the wall can and will be a problem when European style cabinets are specified for a remodel. Don't forget that the 1/8th inch spacing rule means that no passage door or window trim can be any closer to the new cabinet faces than the cabinet drawers themselves are deep. Any such trim will always be 1/2 inch or more in thickness thus impedes cabinet function. By practicing this rule of thumb you will allow the drawers to fully extend. Cabinet doors will also have a clear swing radius and not be wedged against any perpendicular entry door trim. If the above needed clearance from the cabinet faces to the door trim is nonexistent the entry doors themselves must be relocated. This aspect will include any wiring for light switches or outlets and should be done by a qualified electrician. Kitchen remodel ideas in Austin, Texas like most other cities includes many of the same aspects. Be sure to choose a local qualified remodeling contractor whose personality and qualifications are agreeable with you personally. You are about to undertake a very important short term relationship in your life with someone you may know by reputation only. The relationship needs to be comfortable and free flowing thus enabling the contractor's creativity level to be at it's highest during your remodeling project. Look at it as a partnership between your needs and the remodeling contractor's abilities. This is not new construction and the use of the European cabinetry must be accomodated for. His professional remodeling experience will include his capacity to identify many construction limitations and hazards. These variables underlie the major pitfalls that can be avoided while enabling a remodeling design to come to reality. 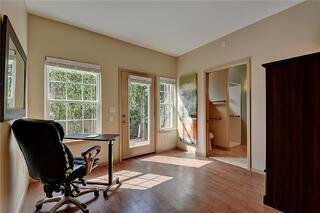 His experience can also aid you in accomplishing remodeling upgrades that include dissability issues. The job needs to flow between the various trades involved to produce a better final outcome. This too is a reflection on his remodeling experience for which there is no substitute. Whether you're looking for a local residential remodeling contractor in Austin, Texas to accomplish a kitchen remodel or a construction professional to complete an entire gutting and remodel of your entire home including a home office transformation, the final accenting finishes most likely will include the use of fine cabinetry. The choice between frameless European and Northern face frame cabinetry styles will highlight practically any design. Choosing the correct wood species can further add to the richness of the job. Then there are those needed additions that must blend while being added onto your home without notice. To begin with, kitchen upgrades and bathroom remodels return the most money at resale on the initial investment of the remodeling project. National averages show that kitchen remodels recoup around 70% of the costs of the upgrade at the time of resale of the home. However, your kitchen remodeling costs should never exceed 15% of the total value of your home. Here is where you need to get your thinking cap on and plan for an affordable budget that is within your means. Your material choices are very important and if you need to stay mid-level to fit the budget then do so. The labor involved for the project will be around 1.6 times the cost of the materials used. 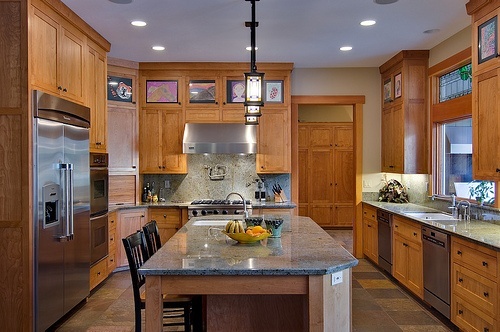 The total budget should allow $100 per square foot for your kitchen upgrade project. Any kitchen remodel will need to produce a better service or work triangle between the sink, refrigerator, and stove placement. The shorter the sum of the triangle legs the more efficient the layout but islands can also be incorporated into the design to increase the efficiency. The prep sink within the island can become it's own focal point of the work triangle displacing the duties of the main kitchen sink. The orientation of the island toward the work triangle is very important making sure traffic can still flow freely within the designated triangle. Islands can contain all sorts of special storage areas. Mixer lifts, produce storage drawers, wine storage, and dough board pullouts are just a few of the many useful aspects that can be incorporated into the island. Living with a dysfunctional bathroom layout reduces the total feeling of relaxation your master bath is capable of providing. During those much deserved private moments you long for your bathroom's surroundings to provide both luxury and function. There isn't adequate lighting for the many daily personal duties like applying makeup. There needs to be adequate ventillation so you don't always feel as though you are housed in a "sweat box" while getting dressed. The outdated plate mirror extending from your vanity top's splash upward toward the drywall furrdown above has never been a design you thank the world of. You have always disliked that box above housing the poorly illuminating fluorescent tube lamps that are concealed by the yellowing plastic diffuser panel. You are sick and tired of the poor storage facilities inherited when you purchased your home. The height of the vanity is out of line according to your needs and it is also inadequate for your storage needs. The existing cabinet layout contains unusable drawers beginning to come off their tracks and the cabinet doors have their own particular issues. Your cabinets are either too deep to access what they contain or their storage capabilities have been limited by their total improper design. What were those guys thinking? What's more the out of fashion ceramic tiles are either partly missing or they are totally the wrong color for the day along with the colors within the rest of the room. Having improperly working plumbing fixtures that are now also antiquated with their own set of problems is yet another quandry within itself. The fixtures themselves can also be finished in a color that is long out of style. So what do you do? It is well past time to undergo a fine bathroom upgrade and makeover. Bathroom remodeling can either be a pain or a pleasant experience according to the participants involved. Bathroom remodeling in Austin, Texas like most other cities includes many of the same aspects. Be sure to choose a qualified residential construction contractor whose personality and qualifications are agreeable with you personally. You are about to undertake a very important short term relationship in your life with someone you may know by reputation only. The relationship needs to be comfortable and free flowing thus enabling the contractor's creativity level to be at it's highest during your remodeling project. Look at it as a partnership between your needs and the remodeling contractor's abilities. His professional remodeling experience will include his capacity to identify many construction limitations and hazards. These variables underlie the major pitfalls that can be avoided while making a bathroom remodeling design come into reality. His experience can also aid you in accomplishing bathroom upgrades that include dissability issues. Accessibility is what the project is about anyway. The job needs to flow between the various trades involved to produce a better final outcome. This too is a reflection on his remodeling experience for which there is no substitute. Bathroom plumbing fixture choices are numerous to say the least. Select reputable companies offering the best warranties especially when considering finishes used on control valve trims and the fixtures installed in the project. 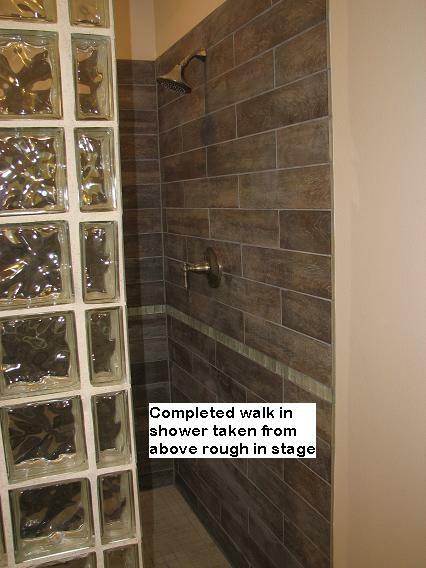 Larger walk in shower designs should have seamless fiberglass liners to avoid leaks if the house ever shifts. Using natural stone or glass tiles while additionally designing in glass blocks will certainly be an upgrade. Colors for bathrooms today are natural and earthy creating a calming effect. Accents of color reflected from the tiles, paint, fixtures, and woodwork are used to make things a little more interesting compared to the room's overall vanilla tones within your design. Help is just a phone call away but be sure the one who answers has the qualified experience you need for completing your new bathroom transformation. There is nothing strange, different, or out of the ordinary to consider when shopping for ADA kitchen cabinetry. The specialty cabinetry can be composed of any materials that currently make up standard off the shelf or custom cabinetry. It's all about the agreed upon cabinet industry standards for heights and distances being incorporated into the cabinetry designs. This allows the consumer with special needs a more comfortable experience while performing the kitchen's daily duties. Architectural barriers have been removed allowing for the proper legroom clearance, reach distance, and cabinet height. Upper cabinets aren't installed too high for a comfortable reach distance and the cabinet top, installed at 34 inches above the finished floor, is the perfect height to be totally useful. The ease of operation of the new cabinetry is more favorable and convenient and certainly user friendly. And now for the layout of your new ADA compliant kitchen. Whether the job concerns ADA remodeling or new construction, commercial or residential, the end result will always be the same in aiding those who no longer or have never had the choice of a means of locomotion. Sometimes folks need a little help beyond the rest of us to be self sufficient and hold on to their dignity. That's when the clear accessible route comes into play. This designated route wil make it possible for those with special needs to enter through the front door and travel into any room of the structure without barriers like the kitchen. Home accessibility help in Austin concerning the kitchen provides for better access by everyone. Austin ADA remodeling will provide accessibility to all homeowners no matter what their age but will provide access to all no matter what their impairment is concerning. First you should try to maintain a five foot turning radius within your kitchen if you require the use of a wheelchair or other assistive mobility device. You will need to have your plumbing attachments brought into compliance to enable your freedom and safety. The installation of grab bars where needed within the kitchen can be very helpful for insuring your safety for maneuverability. These should be installed at 34 inches above the finished floor to safeguard your use of them. Having roll under capability for the new kitchen sink can be very helpful while you are utilizing the wheelchair. 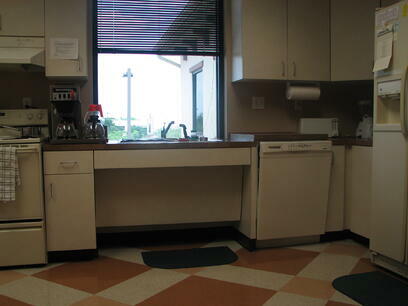 Exact clearances should be complied with for width and clear unobstructed legroom underneath the sink. The proper safety equipment should be installed on the plumbing pipes that prevent scalding of your legs. Any ADA compliant kitchen cabinets in Austin, Texas will need to produce a better service or work triangle between the sink, refrigerator, and stove placement. The shorter the sum of the triangle legs the more efficient the layout but islands can also be incorporated into the design to increase the efficiency. The prep sink within the island can become it's own focal point of the work triangle displacing the duties of the main kitchen sink. The orientation of the island toward the work triangle is very important making sure traffic can still flow freely within the designated triangle. Islands can contain all sorts of special storage areas. Mixer lifts, produce storage drawers, wine storage, and dough board pullouts are just a few of the many useful aspects that can be incorporated into the island. Placing the dishwasher beside the sink and raising it up four to nine inches obove the floor makes bending and reaching in to load or empty the machine a more comfortable activity. An elevated kick space aids mobility assistive devices and raises base cabinets to a more comfortable height increasing accessibility. A pull out eating surface can be installed beyond a visible top drawer front providing legroom and ease of use. Placing the spice drawers or shelves next to the cook stove also makes good sense. Storage of pots and pans must also be placed within the vicinity of the stove. 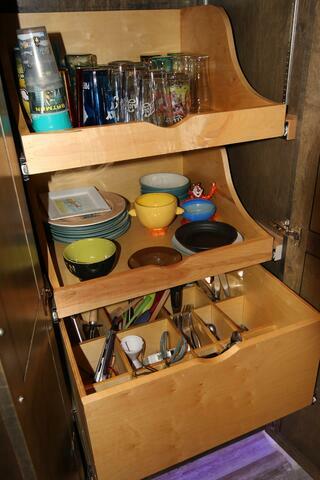 Utilizing pull out shelves will bring the heavy pots and pans out in the open where they can be grasped easier. Cooking and eating utensils must have their place between the stove and sink according to use. Dividers and drawer organizers are a good way to control clutter and increase organization. Task lighting is a concern making sure there is plenty of light to function properly as well as placing adequate light used over the main kitchen sink. Roll out trash bins or pull out shelves are a consideration during the layout process. Lowering a wall oven to a height that is easier to reach can help with safety issues. All ADA remodeling concepts are meant to aid in your comfort and help you prepare for the future. To begin with, kitchen upgrades and bathroom remodels return the most money at resale on the initial investment of the remodeling project. National averages show that kitchen remodels recoup around 70% of the costs of the upgrade at the time of resale of the home. When remodeling an Austin kitchen, kitchen remodeling costs should never exceed 15% of the total value of your home. Here is where you need to get your thinking cap on and plan for an affordable budget that is within your means. Your material choices are very important and if you need to stay mid-level to fit the budget then do so. The labor involved for the project will be around 1.6 times the cost of the materials used. The total budget should allow $100 per square foot for your kitchen upgrade project. For an average size kitchen of between 200-300 square feet you can budget $25,000 for your kitchen upgrade. 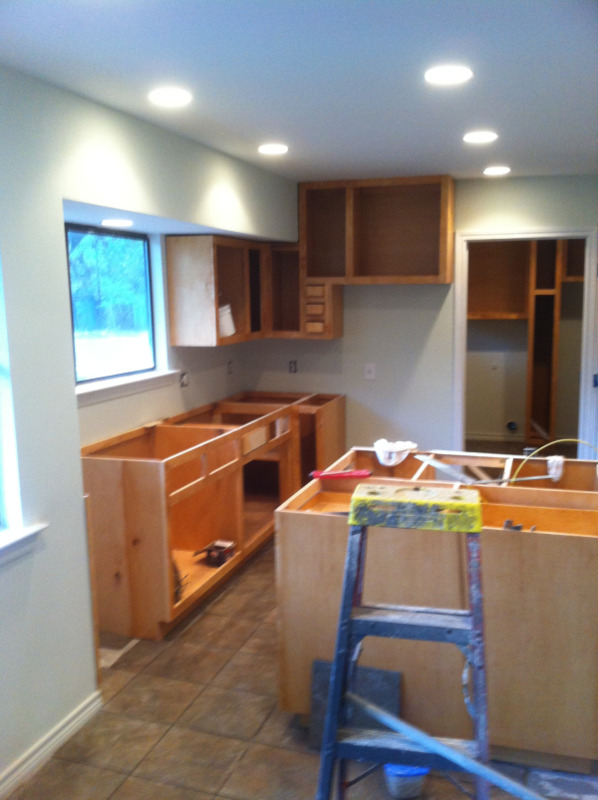 There are no DIY kitchen remodeling projects. 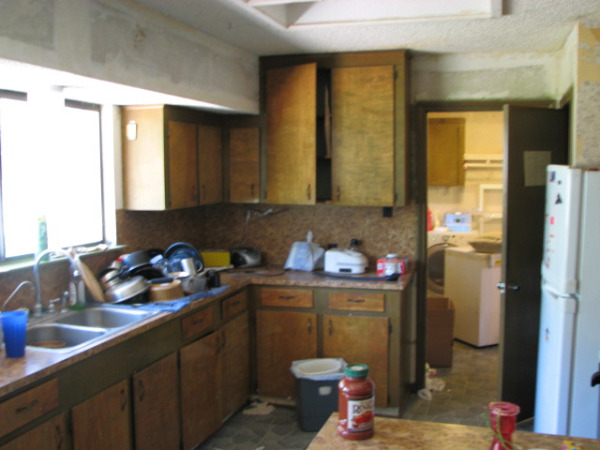 Once the demolition is accomplished the inexperienced homeowner should consider his part in the remodel to be complete. It's time to get the building professionals involved to make sure that the resulting kitchen upgrade functions correctly. The correct electrical wiring with the new outlets and appliance rough ins should be installed within the kitchen's frame work. Dedicated circuits per the national electrical code should be wired by a qualified electrician. This will insure that two appliances can be running simultaneously without tripping any circuit breakers. The electrician will also install the needed GFI circuits that keep you safe around any wet areas. It's also a great time to install all the upgraded lighting fixtures with the new switching they require. Skimping on the electrical budget can cause many problems including an electrical fire. Whether you're looking for a local residential construction contractor for remodeling an Austin kitchen or a construction professional to complete an office transformation the final accenting finishes most likely will include the use of fine cabinetry. The choice between frameless European and Northern face frame cabinetry styles will highlight practically any design. Choosing the correct wood species can further add to the richness of the job. Any kitchen remodeling in Austin, Texas will need to produce a better service or work triangle between the sink, refrigerator, and stove placement. The shorter the sum of the triangle legs the more efficient the layout but islands can also be incorporated into the design to increase the efficiency. The prep sink within the island can become it's own focal point of the work triangle displacing the duties of the main kitchen sink. The orientation of the island toward the work triangle is very important making sure traffic can still flow freely within the designated triangle. Islands can contain all sorts of special storage areas. Mixer lifts, produce storage drawers, wine storage, and dough board pullouts are just a few of the many useful aspects that can be incorporated into the island. Keep your thinking cap on when remodeling an Austin kitchen and pay particular attention to traffic flows. Placing the dishwasher beside the sink and raising it up slightly above the floor makes reaching in to load or empty the machine a more comfortable activity. Placing the spice drawers or shelves next to the cook stove also makes good sense. Storage of pots and pans must also be placed within the vicinity of the stove. Cooking and eating utensils must have their place between the stove and sink according to use. Task lighting is a concern making sure there is plenty of light to function properly as well as placing adequate light used over the main kitchen sink. Roll out trash bins or pull out shelves are a consideration during the layout process. Let's not forget ADA remodeling concepts for comfort if you are preparing for the future using universal design. Have you finally reached the point where your existing kitchen just doesn't blend with your current lifestyle or it simply doesn't have the efficiency that you require? 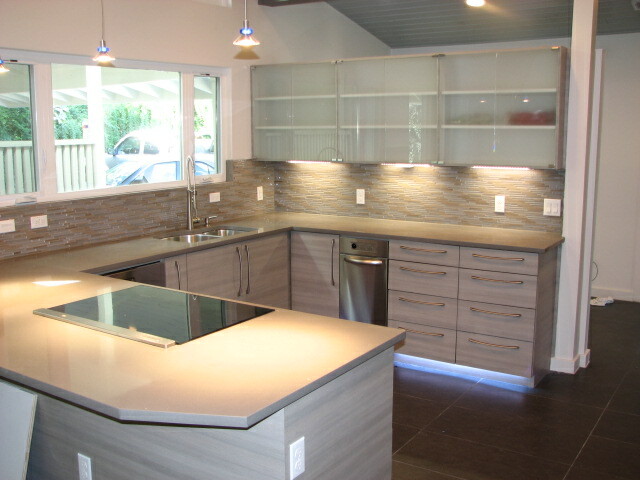 Are you beginning to formulate your kitchen remodel ideas? Your appliances have become personified with all their special inhibiting attributes they contribute toward your life. Don't forget that their power efficiency is definitely inferior to the norm of today and that your old appliances are wasting energy that you pay for monthly in the form of your electric bill. Perhaps your gas stove's burners aren't as efficient as they once were adding an addition of carbon monoxide to the air you breathe within your home's confinement. Maybe your stove's hood vent, which hasn't worked in quite some time, needs to be upgraded with a more efficient and certainly a more quiet unit. 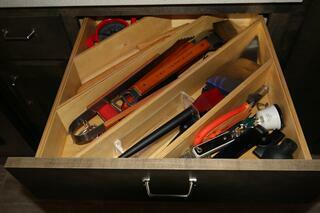 How about the cabinet drawers that that have come apart or no longer freely run on their guides. And don't forget about the missing cabinet bottom under the sink because of an accidental plumbing leak that occurred months ago or the old original cabinet doors that no longer shut or perhaps have hinge problems. Many problems or a combination of certain defects can cause you to reach that threshold and begin to get serious about a kitchen or bathroom upgrade. Plumbing upgrades need to be addressed and the use of a master plumber will make sure that everything functions correctly. Moving a sink over a small amount can add an additional $2,500 to your project's hard costs as it affects both the plumbing and the floor. The plumber can be sure that you have adequate water volume for any additional fixtures that will be involved. 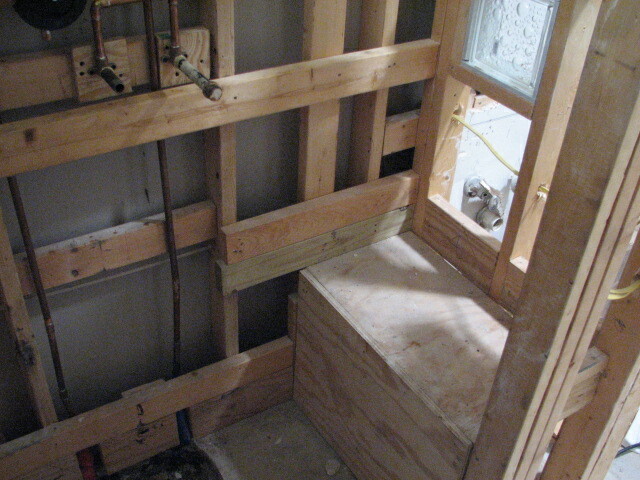 The plumber will be involved through the setting of the sink, fixtures, and all appliances requiring water to operate. When choosing a kitchen sink, whether it is a drop in model or an undermount, you can never go wrong with a good grade of stainless steel. These sinks never go out of style and you can outfit them with any color and kind of faucet that you see fit. Moving on to the fine cabinetry for the project, you are limited by what you have budgeted for. Medium grade oak cabinets will cost you $160 per linear foot. Even if your budget is tightening and you need to install IKEA cabinets you will still need a professional cabinet installer to correctly set out your new cabinet line. If the intent of your upgrade is to increase your accessibility by via an ADA remodel, the new cabinets will most likely have to be custom made. These alterations should be done by a qualified residential construction contractor who is accomplished in dealing with the local ADA codes. There are many textured plastic laminates available today that will help keep your project costs in the black. The premium grades of laminate counter tops will still cost $45 per linear foot but that's a far cry better than $100 per square foot for premium granite. Back splashes can either match or be totally different from the surface of the counter top. Tile patterns and designs blend well with any chosen counter top surface. The painting of the walls and ceiling following the drywall fill work can be as easy as applying a coat of paint. Faux painting, used as an upgrade for the walls, will be a highlight for any remodel. Remember to keep your color choices light and neutral to prevent making the new kitchen area appear smaller. Installed flooring will set you back around $25 per square foot according to the choices you have made. The base and trim that is used for the new project should match that used within the rest of the house in order to blend in. Good luck and be sensible staying within your budget. Whether you're looking for a local residential construction contractor to accomplish a kitchen remodel or a construction professional to complete a bathroom transformation the final accenting finishes most likely will include the use of fine cabinetry. The choice between frameless European and Northern face frame cabinetry styles will highlight practically any design. Choosing the correct wood species can further add to the richness of the job when accomplishing artistic kitchen upgrades Austin, Texas. Concentrate on the kitchen's layout and space planning rather than the way everything will look at the end. Use any means you can think of to mimic the new layout on the floor so you can be sure of the new footprint. Decide on which appliances and fixtures you want to use then figure out where they will be installed. Address any special storage needs that are needed. Designers and architects can be very helpful at this phase of the design if you cannot visualize the end result. Working with an experienced kitchen remodeling contractor might also save you on soft costs for the project and enable you to put your money toward the hard construction costs of the project while relying on his experience. Any Austin kitchen remodel will need to produce a better service or work triangle between the sink, refrigerator, and stove placement. The shorter the sum of the triangle legs the more efficient the layout but islands can also be incorporated into the design to increase the efficiency. The prep sink within the island can become it's own focal point of the work triangle displacing the duties of the main kitchen sink. The orientation of the island toward the work triangle is very important making sure traffic can still flow freely within the designated triangle. Islands can contain all sorts of special storage areas. Mixer lifts, produce storage drawers, wine storage, and dough board pullouts are just a few of the many useful aspects that can be incorporated into the island. Placing the dishwasher beside the sink and raising it up slightly above the floor makes reaching in to load or empty the machine a more comfortable activity. Placing the spice drawers or shelves next to the cook stove also makes good sense. Storage of pots and pans must also be placed within the vicinity of the stove. Cooking and eating utensils must have their place between the stove and sink according to use. Task lighting is a concern making sure there is plenty of light to function properly as well as placing adequate light used over the main kitchen sink. Roll out trash bins or pull out shelves are a consideration during the layout process. Let's not forget ADA remodeling concepts for comfort if you are preparing for the future. Call T-Square Company today at 512-444-0097 today for a complete design/build experience for the new kitchen or bathroom you've longed for. Let our decades of kitchen remodeling experience guide you through what can be a stressful event. Once you've had your home for a while or have recently closed on a new property, you need to analyze and discover any deficiencies that are incorporated into the overall functionality of one of your most private rooms. Make a list of your greatest wants and desires and begin to figure out how to make them affordable and real. Conventionally, the master bathroom has featured a giant master bath tub. This might be a traditional tub or a jetted unit – but it seems that more and more clients are asking for something else. They are saying ‘no’ to the large master bath tub taking up more room that could be used for other activities. Specifically, the current trend is for smaller, freestanding tubs with stand alone larger custom showers that might include body sprays, steam showers, duel heads, etc. or maybe no tub at all. The tub no longer needs to take up so much of the usable square feet as the main focal point in the bathroom. Most likely, large showers will remain popular, while tubs will remain a more personal choice. There will likely be a certain group of people who really enjoy and want a nice long bath, regardless of the trends. Each situation is personal, and a home should be full of personal choices. Keep in mind that moving plumbing, especially drains, is one of the more expensive aspects of a fine bathroom makeover involving floor demolition. If you can limit and control the costs involved with this issue you will have more money to spend on the things that show off your endeavors. Keeping this in mind will make your Austin bathroom remodeling a success. Start with your vanity cabinet(s) to see if the proper amount and kind of storage is present. Can you accomplish your needs by using specialty items like pull out shelves, miscellaneous storage add ons as in wire pullouts, tilt out trays, or simply drawer inserts separating cosmetics or medicines? If this isn't enough, your vanity cabinet can be replaced with something that's been custom made or you may be able to find an off the shelf product that solves your storage problems. How about your existing conventional tub? If it is no longer used or you have another tub in your other bathroom it can be transformed into a shower within the same footprint. You'll need to decide if you want a door and bring in the sides for the correct opening with either glass blocks or custom tile work on stick frame type construction. A walk in shower without a door requires a large enough area to enter so that the shower head is off to the side. Today's custom walk in showers can get pretty fancy with body and rain heads but remember these require a larger size supply line than is normally standard. Composite shower pans or liners beneath the floor tile can be composed of either a custom fiberglass application or the proper vinyl material. Waterproofing is the most important aspect of shower building and all precautions must be taken. Changing your toilet is an easy way to change the look and efficiency of your bath. Older toilets use too much water when flushing and leaky flappers or malfunctioning fill valves are also water wasters. Toilets come in either a round or elongated shape and in standard and somewhat taller heights according to your comfort level. Always use energy minded construction techniques in Austin, Texas and conserve water when making alterations to your home. View our Video of a Custom Bathroom with walk in Shower!